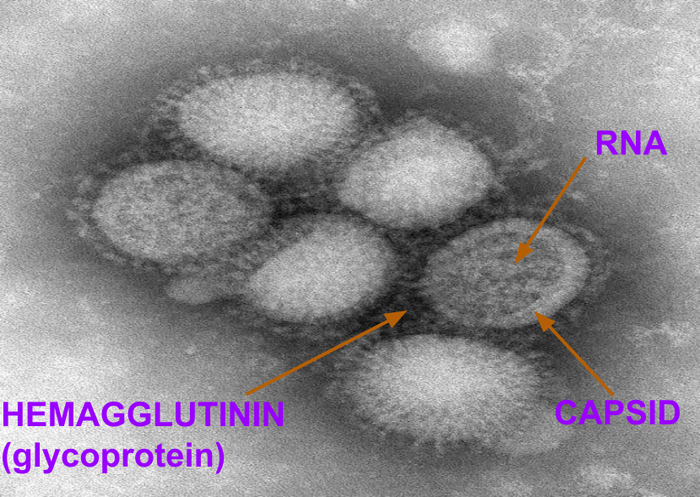 The influenza virus attacks the respiratory system, and there is more than one type. There is an influenza A, B, and C. This virus is transmitted through water droplets when people that are infected with it, cough, sneeze, or talk. This virus mostly attacks people that have a chronic medical condition, are older than 65, pregnant women, and young children. Also, any job that requires traveling to foreign places, exposes the worker to the influenza virus. These jobs include a traveling nurse/doctor, a military deploymat, a navy sailor, and any other job that requires traveling around the world. 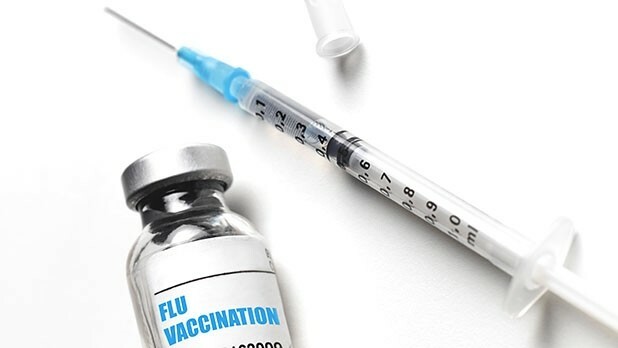 The influenza virus is blamed to cause the following symptoms; feeling cold, sore throat, stuffy/runny nose, headaches, muscle or body aches,fatigue, and vomiting (mostly in young children). Luckily, it causes no significant damage to an organism's body. A person could come in contact with this virus from various animals, like chickens, pigs, horses, ducks, seals, and wild birds. There are many ways you can protect yourself from the influenza virus. Like to defend yourself you could stay away from people that are already infected with the virus or have the flu. You can also prevent yourself from the virus by washing you hands with soap and water, and getting an annual flu vaccination. Lastly, some treatments you should try is taking anti-inflammatory pain relievers and an influenza antiviral drug.